The Grayship tutorial is a great place to start learning Archimatix. It takes you thought the modeling of a parametric spaceship. During the 20 minute video, you will learn to grab Shapes from the 2D library, extrude them, repeat them and group them using the Archimatix node graph editor. Once you parametric spaceship is done, you can easily stamp out variations to build your first Archimatix armada! 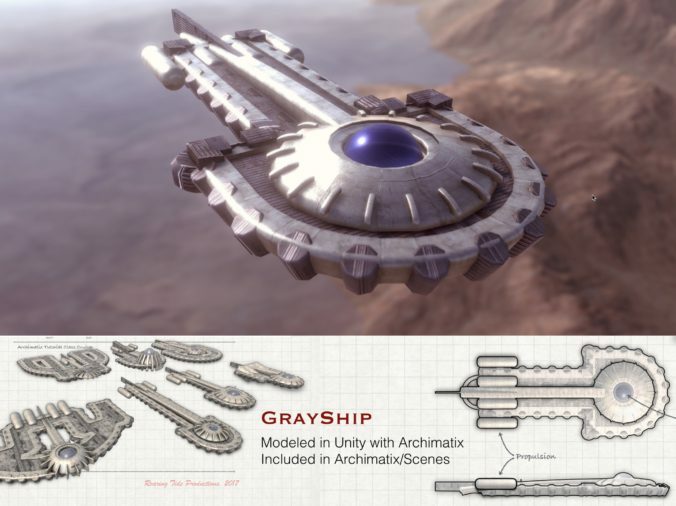 You can also try the Grayship parametric model out in the WebGL demo to it it and a great preview of Runtime Archimatix.